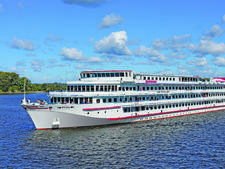 Vodohod’s river cruise boat Alexander Pushkin is specifically constructed to navigate European waterways. This four-deck vessel, which bears the name of one of Russia’s most celebrated poets, was built in 1974 and can hold up to 160 passengers. Alexander Pushkin underwent a full refurbishment in 2011, which upgraded and updated its facilities. 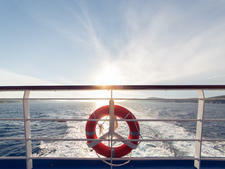 There is a restaurant-bar, coffee bar, solarium, sauna, fitness center and souvenir shop onboard. All of the accommodations onboard Alexander Pushkin are outside cabins, which feature air conditioning and en suite bathrooms. 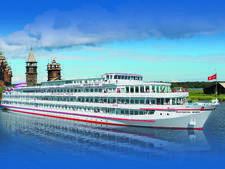 Cabin classes on this river cruise ship range from singles to two-room suites. 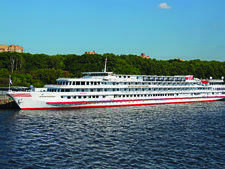 Alexander Pushkin’s onboard entertainment centers on Russian-themed performances and activities. Passengers can expect to experience live performances of Russian folk music and classical music, as well as Russian tea ceremonies, nesting doll painting classes and a vodka tasting session. 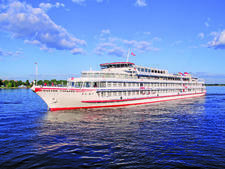 A typical itinerary onboard Alexander Pushkin would involve cruising the waterways between St. Petersburg and Moscow. 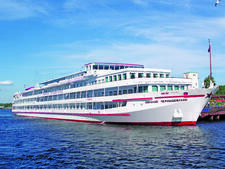 Passengers who venture ashore can take walking tours that highlight the history and culture of Russia’s famed cities, focusing on sights like architectural landmarks, Orthodox cathedrals and museums. 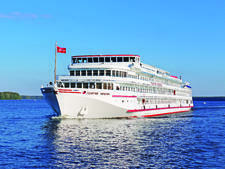 Dining onboard Alexander Pushkin highlights predominantly European cooking mixed with elements of Russian cuisine. 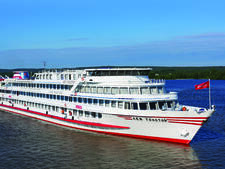 A breakfast buffet starts the day off and lunch is typically a hearty meal that usually includes a traditional Russian soup, such as the robust cabbage soup called “schi.” At dinnertime onboard Alexander Pushkin, passengers are often treated to themed events, showcasing the culinary offerings and culture of Russia. 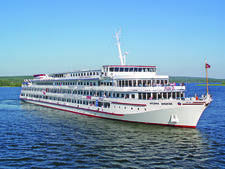 MS Rostropovich is a four-deck river ship that accommodates 212 passengers. The ship was built in 1980 and was fully refurbished in 2010/11.